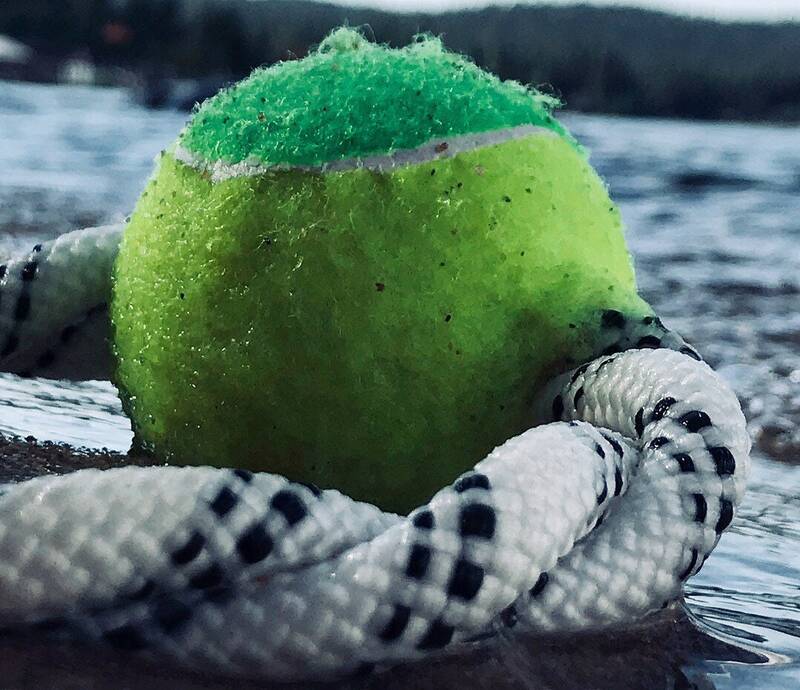 Made with recycled/repurposed rock climbing rope and a Tuff Ball Foam Ball, our New loop toy is perfect for the swimmer in the family! Balls are non toxic foam and a non abrasive felt so they’re still safe for your pup. Harlee is a ball hog but loves playing tug-of-war with sister Olive! I will ship in 3-5 business days vias USPS. Are your toys made from products produced in the USA? We do our best to get rope that is produced in America. Because a lot of our rope is donated to us, we can’t guarantee that it was made in the US but we try our best. The tuff ball tennis balls are made in America!